We can take your old driveway and turn it into the focus of your Landscape. Take a look at some of our videos and get a feeling for the kind of work we love to do! Born 1939 in Hackensack, raised in Hillsdale NJ. Started McFarlane Paving in 1959. Born 1960 in Teaneck, raised in Upper Saddle River NJ. Started working at McFarlane Paving in 1976. Born 1963 in San Bernadino CA. raised in Upper saddle River NJ. Started working at McFarlane Paving in 1979. 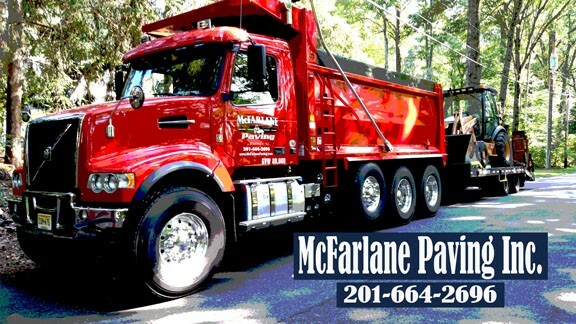 McFarlane Paving Circular Driveways NJ – In the event that you are looking for a reliable and dependable paving contractor by all means please consider McFarlane Paving. We have over 60 years of experience on the positive side in providing our customers with high quality driveways. 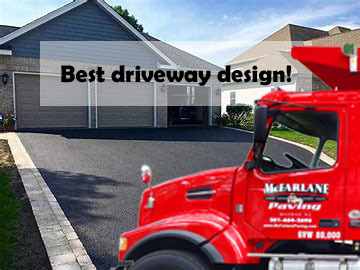 When looking for a paving contractor in NJ, choose a asphalt driveway company with Parking Lot Experience.